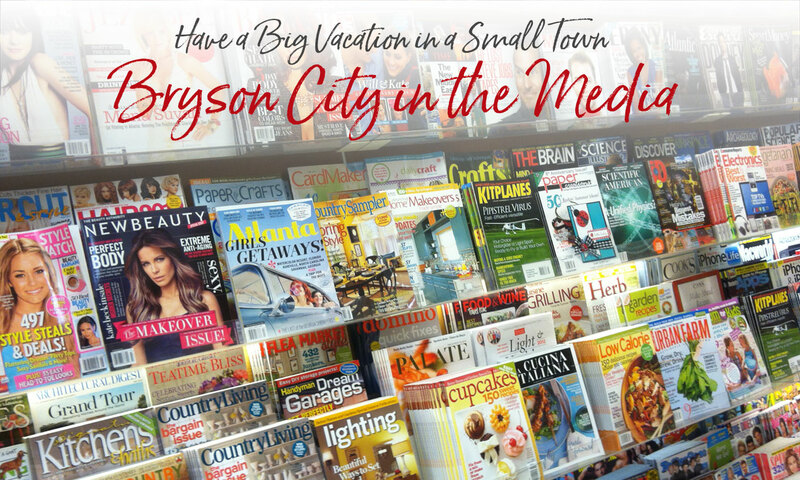 Bryson City’s attractions, activities and businesses are frequently featured in the media. Here are a few examples of what journalists are saying. If you see something in the news that we don’t have noted here, we’d love to hear from you at updates@greatsmokies.com. Our State magazine named Bryson City one of 10 Great Mountain Towns in it’s “Ultimate Guide to Mountain Travel” (October 2017). Three AAA magazines featured “Fall in the Smokies” and our area including the Great Smoky Mountains Railroad — Midwest Traveler, Southern Traveler & Go Carolinas. Backpacker Magazine – The September 2016 issue features a dozen “trail towns” in the country, including two from the Southeast – Bryson City and Davis & Thomas WV. When an article starts off “Call it the anti-Gatlinburg,” you know the writer gets what we’re about. Elisabeth Kwak-Hefferan calls Bryson City a “sneak route entrance” to the Great Smoky Mountains National Park with great spots for breakfast, brews, treats, gear and miles of trails. HGTV’s Log Cabin Living show episodes follow families as they look for the escape of log cabin living. In the 2015 & 2016 seasons. Bryson City was featured as the getaway chosen by families to purchase their vacation dream home. The book “101 Best Outdoor Towns” named Bryson City the nation’s third best whitewater paddling town. “If you can’t find something exciting to do in Bryson City, you’re not breathing,” it says.